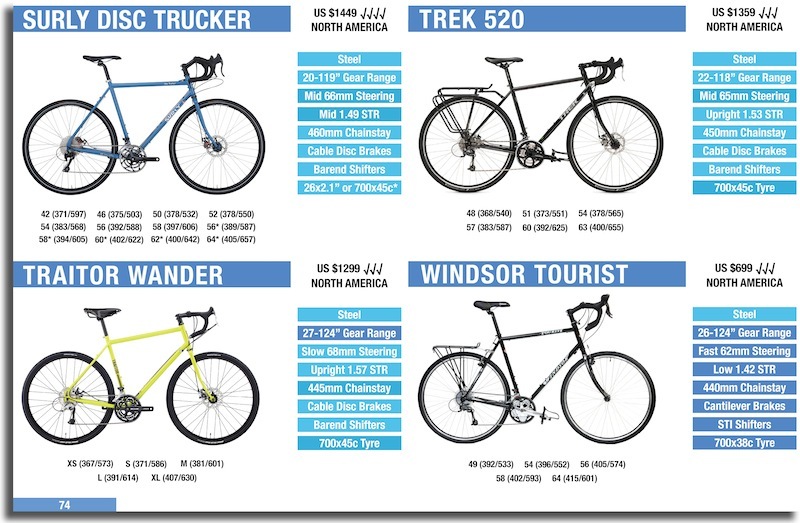 Ladies and gentlemen, we are entering a new era of touring bike. 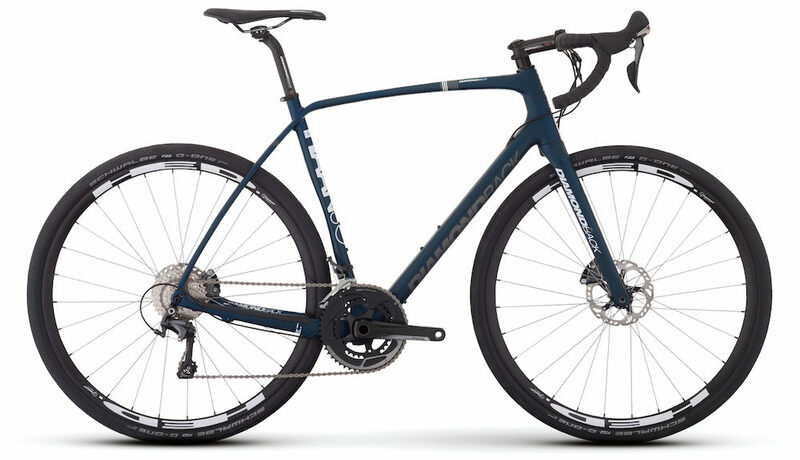 Say hello to the new 2017 Diamondback Haanjo EXP Carbon! 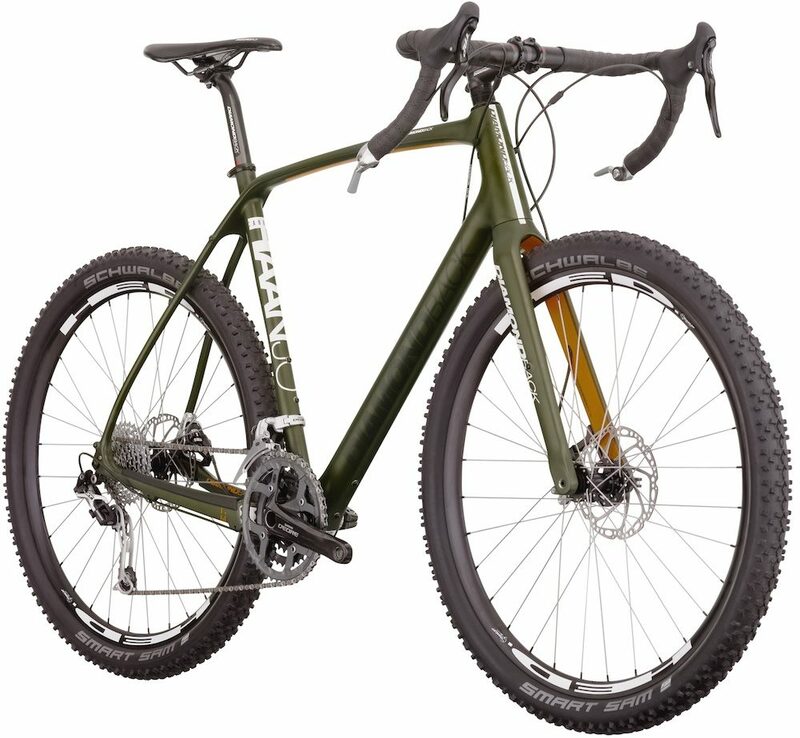 The 2017 Diamondback Haanjo EXP Carbon. Yup, you read it right – carbon fibre. That lightweight woven material that when moulded with resin creates the vast majority of high-end road and mountain bikes we see today. This is the first carbon touring bike! But Alee, metal tubes are really reliable. Why would we want frames and forks made out of carbon fibre? Well, it all comes down to the engineering. Every square centimetre of a carbon fibre frame and fork can be tweaked and tuned to optimise it towards being lightweight, comfortable, stiff and/or reliable. In comparison, a steel frame is only customisable down to an entire tube. Depending on the way that the carbon is selected and laid, it’s possible to make a carbon frame and fork better in every single way. I’ll write about carbon in-depth soon because it’s a really exciting technology. This bike is the beginning of something great! 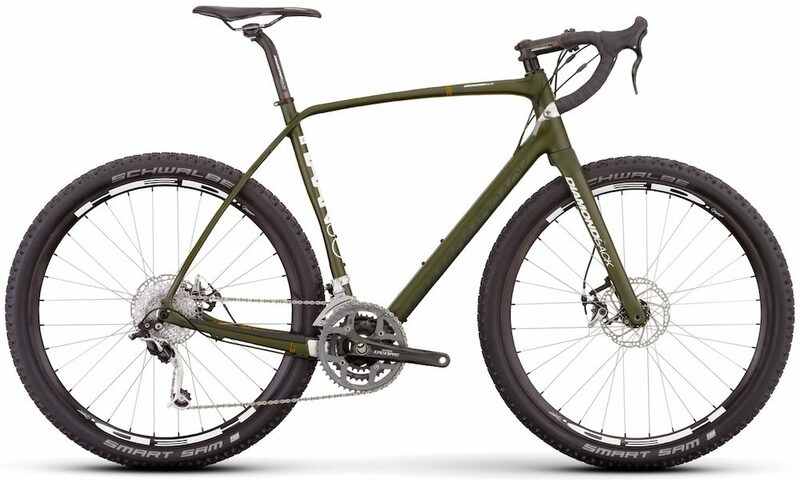 The Haanjo series is Diamondback’s gravel and adventure road collection. 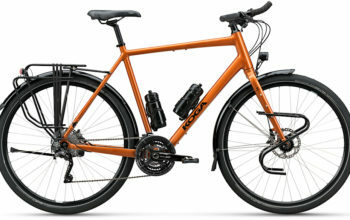 The EXP Carbon is their off-road touring option, complete with barend shifters, cable disc brakes, an ultra-wide gear range and clearance for 2.1″+ mountain bike tyres. This carbon frame can handle front and rear racks and 3x bidon cages! 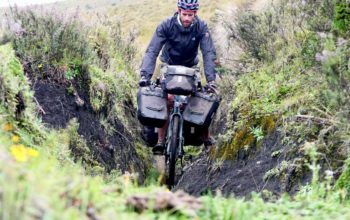 The bike is designed to accommodate both 27.5″ mountain bike wheels (with 2.1″ tyres) or 700c road wheels (with 40c tyres). The EXP Carbon is the only model that comes off-the-shelf with the smaller diameter mountain bike wheels. 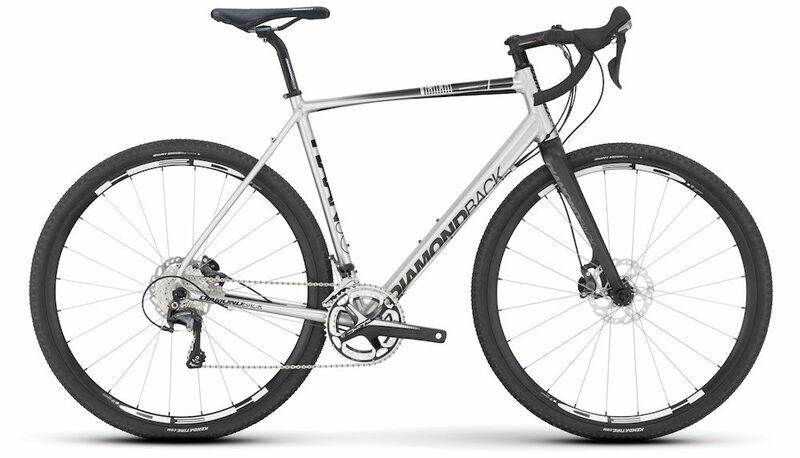 The 2017 Diamondback Haanjo EXP Carbon uses 27.5″ MTB wheels. Diamondback have somehow come across excess stock of the Shimano M770 derailleur, originally released in 2008. That allows the EXP Carbon to run a very utilitarian 9-speed drivetrain (you can find 9-speed components in shops all around the world). Diamondback have chosen TRP Spyre cable disc brakes for the EXP Carbon. Unlike all other cable disc brakes, the Spyres employ a dual-sided activation which provides you with excellent braking performance and even pad/rotor wear. They are certainly the pick of the bunch. 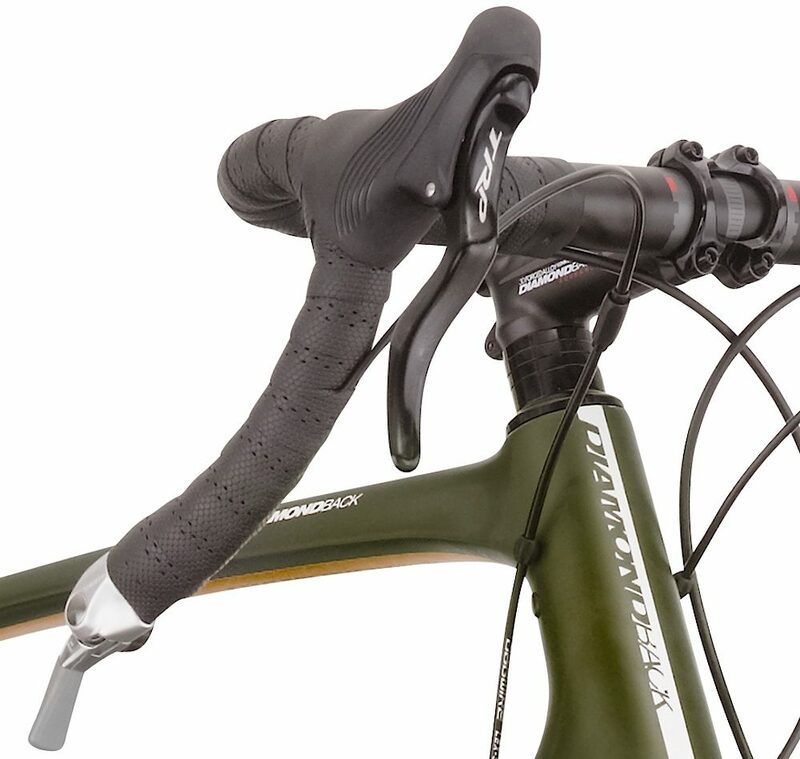 Front and rear thru-axles are found on all Haanjo carbon bikes, reducing flex at the wheels. 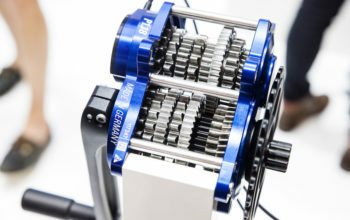 The drivetrain on the Haanjo EXP Carbon is a highlight! A 48-36-26t front crankset when combined with the 11-34t cassette provides an ultra-wide range from 21 to 119 gear inches. 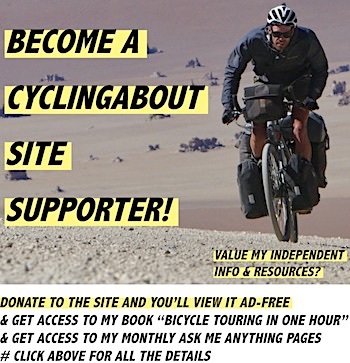 That essentially means that you’ll have low enough gears for climbing steep dirt roads with all your gear, while still being able to hook along at 60km/h on long descents. This bike uses a threaded bottom bracket shell which is music to my ears. This bottom bracket variety is very easy to service and replace yourself. In addition, the bearings are pressed into the cups very precisely from the factory, so they’re always perfectly flush. 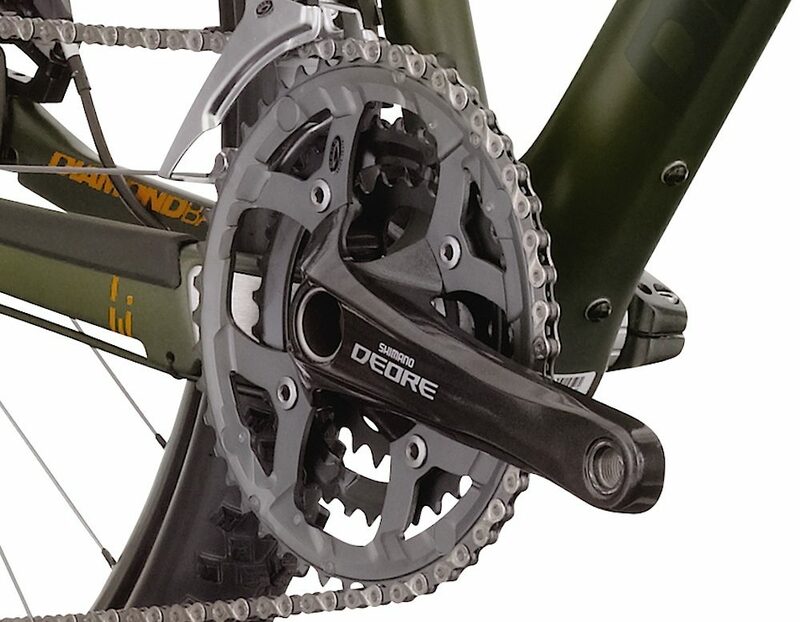 A Shimano Deore 48-36-26 crankset offers a very wide range of gears. In terms of sizing, the Haanjo’s ‘reach’ varies very little across all sizes (all frame sizes are between 371-378mm – in fact, the small is actually longer than both the medium and large). The end result is longer-than-normal small bikes, and shorter-than-normal large bikes. 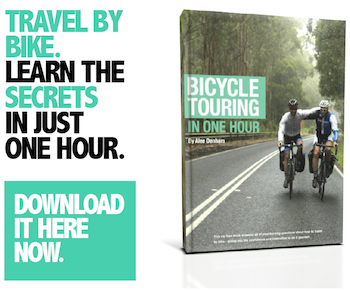 You can modify the bike’s reach by using longer or shorter stems, but ultimately, it’s best practice to create bike sizes in even increments using the stack and reach model, rather than the top-tube length. 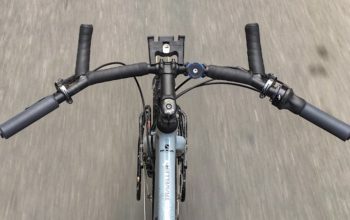 The steering speed on the Haanjo is in-line with other gravel bikes; that is, quicker than a touring bike, but slower than a cyclocross or road bike. 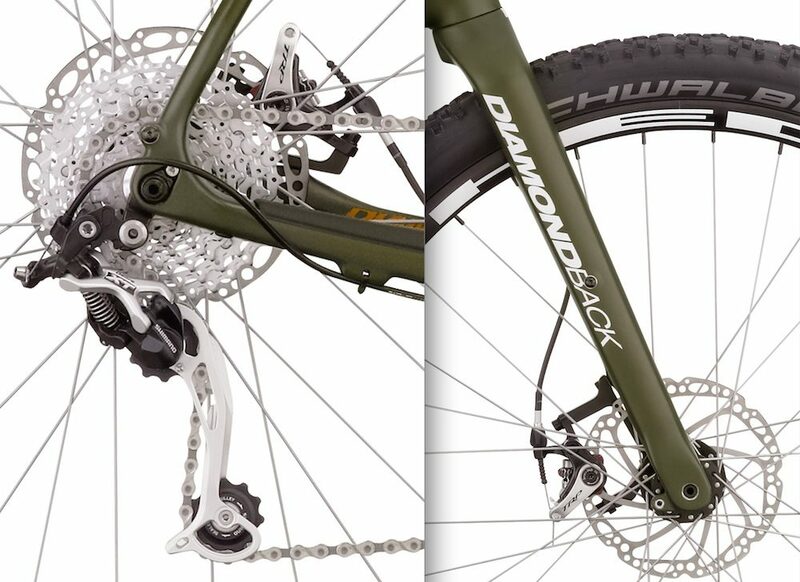 The chainstays are measured at 430mm which is also on par with similar adventure bikes. The Diamondback Haanjo EXP Carbon will be available later this year for US $2300. 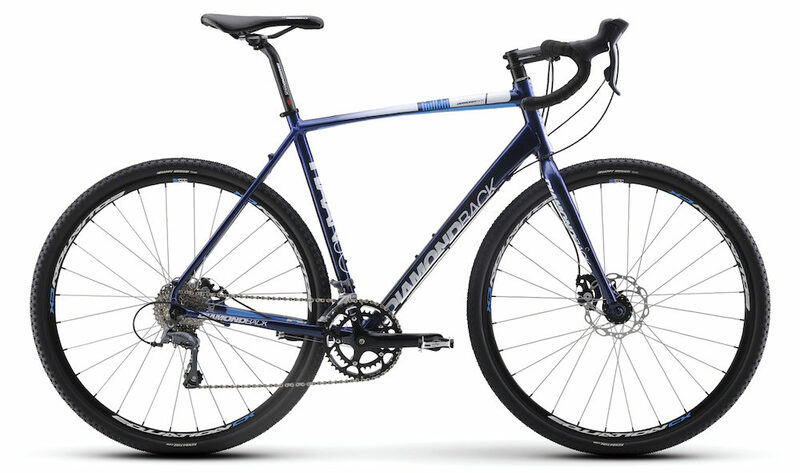 The alloy Diamondback X-Durance seatpost is designed to offer some flex. 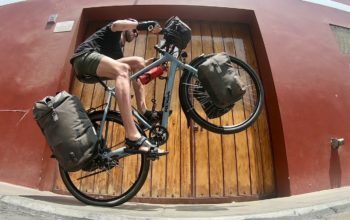 Along with the Haanjo EXP Carbon are a few other models, perhaps more suited to light touring given the choice of gear specification.